On facebook this month, many of my friends have taken the gratitude challenge. Every day in November, they will list those things for which they are grateful. While I don’t often participate in that online, our family does focus on that at our dinner table during November. 1. For punishments that result in a loss of screen time. When those screens go (even for the short amount of time that they are permitted on them) my kids remember the creative things that they also love. It turns out, not having access to a screen is not much of a punishment. 2. For “not enough money.” We have to say no to our kids–we don’t have the money for that exact (and expensive) winter coat she wanted, or for that expensive activity he wanted to attend–but we are grateful for what we do have. 3. For chilly weather. As the seasons change, my kids turn to their favorite activity–snuggling under the blankets. Somehow this always happens when I’m trying to fold laundry, but I’m happy to put off my laundry folding to snuggle up! 4. For moments of grace. My nine and twelve year old are learning what grace means. 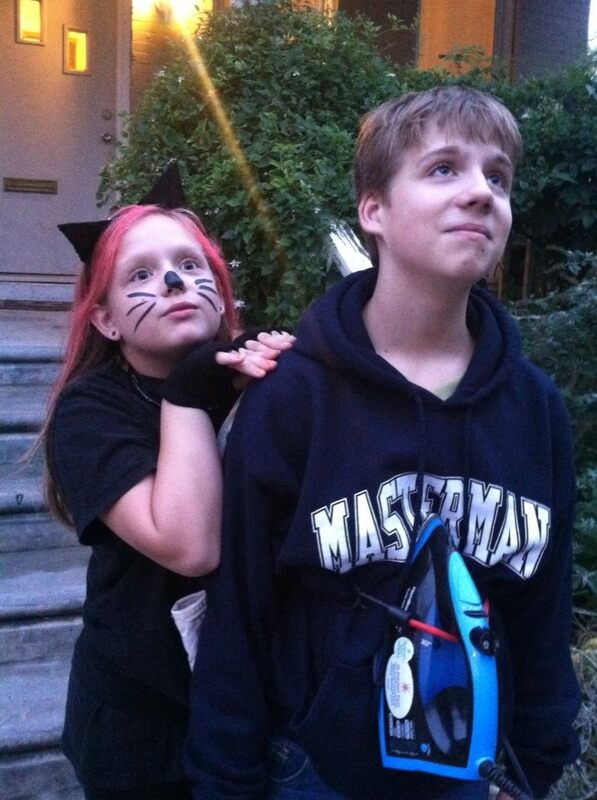 And when my son needs help and my daughter offers it–unsolicited–he learns about grace. When my daughter has broken something I really valued, and I give her a hug (even through clenched teeth), she learns about grace. 5. For growing up. I know, I’m supposed to savor every moment, because they grow up so fast. But today I’m grateful for kids that can walk to and from school with their friends, that can stop at the grocery store on their way home and pick up some milk for me, or that can ride their bikes up the road to spend the afternoon with friends. I’m so pleased to see my kids take on these new responsibilities with joy and enthusiasm, knowing that they are loved and trusted. What are your moments of gratitude with your kids? What are theirs? Let’s take some time with our children this month to reflect on those things–big and small–for which we give thanks to God. Tags: devotions, family, gratitude, thanksgiving. Bookmark the permalink.